Identity thieves are looking for ways to exploit medical records—who wouldn’t want free surgery on someone else’s tab? Don’t let your facility or organization fall victim to a data breach. The bad PR and potential heavy fines that could result from improper methods of storing and destroying medical records once they have passed their retention period are just the beginning. Use this guide and supplementary materials to help protect your patient’s medical records. Let Shred Nations help provide you with proper medical record destruction methods for your practice today! 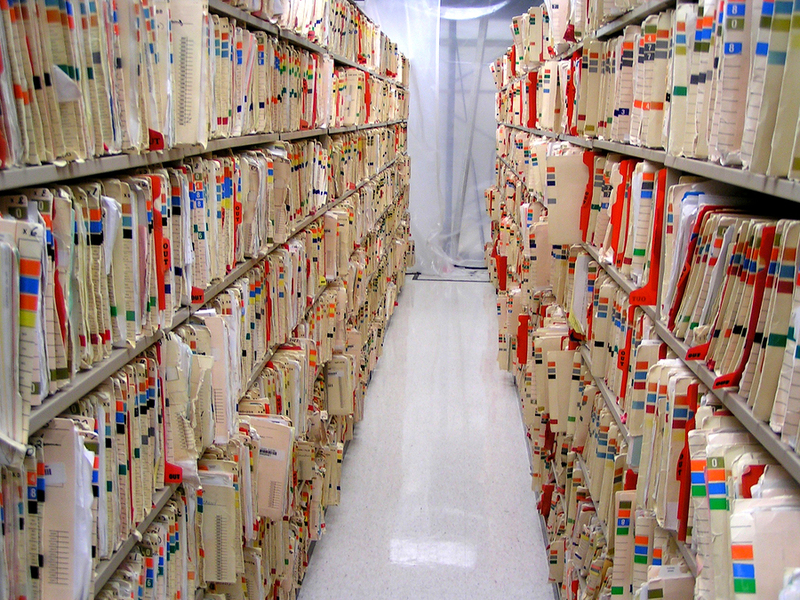 Would you like to learn more about handling Medical Records Properly? Check out these articles, videos and more! Considering the amount of personally identifiable information contained in medical records, there are serious implications in the event of these falling into the hands of identity thieves. Here, we take a closer look at the threat of identity theft in the healthcare industry, providing several secure strategies for ensuring medical records are properly stored and destroyed. While electronic health records have vastly simplified the processes for managing patient medical records, their ease of access has also opened new doors and opportunities for identity theft and data breaches to occur. In this article, we delve deeper into the world of EHRs, exploring topics which range from how electronic health record data breaches can happen to how healthcare providers can preemptively protect themselves and their medical records using electronic media destruction and data encryption.